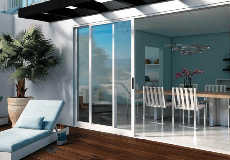 Milgard is offers Frame Accessories specially made for Essence Series® windows and patio doors. These frame trim kits are beautiful and made of durable aluminum that is easy to install. Plus, there are no visible fasteners or holes to putty, which provides a clean look. These Frame Accessories are factory fi­nished to color match all 16 Essence Series exterior colors and are virtually maintenance-free. They won’t need painting and will not rot, split, crack or warp. Milgard offers a variety of combinations to complement virtually any style of home. Essence Series Frame Accessories are available with Flush or Mitered joints in Flat Casing or Brickmould.